Anderson Baillie Customer Charter ensures that our business complies with a professional code of conduct, which ensures that we have your business interests at heart and to perform not only according to best practice, but also with a commitment to company and your brand. This charter is based upon a series of goals and targets measured by auditing each of our account teams from director to executive to determine the service levels and professional standards that are administered in day-to-day customer contact. Not restricting our internal assessments to those in the account team, we also ask you about the relationship, from people through to performance of project and task, creativity and ability to think “out of the box”. Anderson Baillie will record client satisfaction after every large project that is delivered to gain some feedback across competencies such as creativity, delivery against agreed objectives, communication and budget management. Learn how to create a high-impact, customer focused sales team that meets and exceeds your business performance goals. 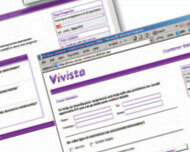 Vivista's quality assurance team approached Anderson Baillie to assist them in finding a way of utilising technology to conduct their annual customer satisfaction survey.